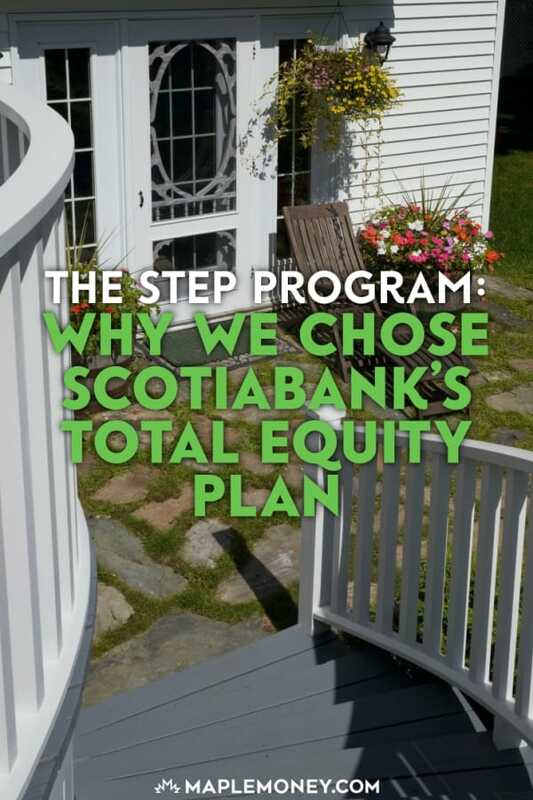 When we moved a few years ago, we had switched from a conventional mortgage at RBC to Scotiabank’s Scotia Total Equity Plan mortgage. We chose Scotiabank as they had the best rate at the time, but we chose their STEP as it will allow us to continually borrow 80% of our home equity. You may be familiar with a Home Equity Line Of Credit (HELOC). This is a credit line that is secured by the value of your house, less your mortgage. Secured lines of credit normally provide a better interest rate than an unsecured LOC. For a regular HELOC, you would apply for a set amount, maybe $10,000 or $100,000, as long as the mortgage and the HELOC together amount to less than 80% of your home’s value. This can be a helpful way to handle home improvement costs, debt consolidation, and tap into emergency funds. Instead of paying a high rate of interest, you can get a better deal, getting more bang for your borrowing buck. However, the Scotia Total Equity Plan, and other mortgages like it, give you this amount automatically. You can setup a flat amount like other HELOCs, or you can have a line of credit that automatically increases as you pay down the principle on your mortgage. This adds a layer of flexibility to your ability to use the equity in your home to your advantage. Scotiabank has been criticized in the past for not having an auto limit increase. Originally, you were required to call in every time you wanted a higher limit. However, in responding to the changing needs of consumers, Scotiabank then added the ability to have an auto limit increase which makes it a much simpler process. It’s also possible to split your mortgage into different types. The Scotiabank STEP mortgage allows you to manage loan (and your interest rates) by choosing from three different types of mortgages with fixed and variable rates. This puts on you more firmly in control of your situation, and allows you the opportunity to change things up as market conditions change. You can use the STEP calculator at the Scotiabank web site to help you determine which loan would be best for you. The calculator even conveniently helps you figure out how to best consolidate your current obligations. The STEP mortgage also provides you a way to borrow up to 65% of the value of your home with other loan products. You can choose from a number of options, secured by the equity in your home. One of the biggest benefits to this readvanceable mortgage is that you can use the equity in your home as a tool for leveraged investing. Leveraged investing is when you take out a loan at a lower interest rate, and then use the money to invest in an asset that is likely to provide you with higher returns. As an example, if you’ve recently paid down $5,000 of your principle, the credit line would increase by $5,000. You can then invest with this available credit and the interest would be tax deductible, making it a better debt than your mortgage. 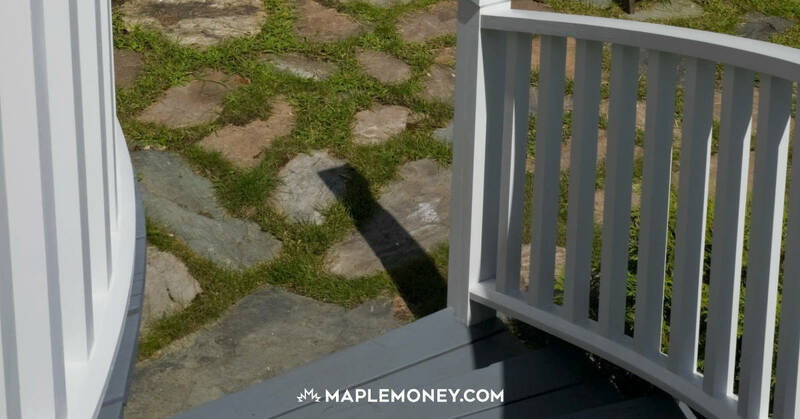 You might not have $5,000 to invest on your own, but once you leverage your home equity, you have the chance to super-charge your finances. Many Canadians find that it can make sense to convert their mortgage into a tax deductible investment loan. I’m under the same plan at prime rate. Scotia recently informed me they’ll increase it by 1% at the end of this year. They said this applies to all their secured lines. When I signed up I didn’t know they can change the rate on me at any time. They tell me they can! I broke my mortgage to get into this product thinking I pay prime while it’s low but now it will be prime plus 1%. I’m not too happy about this. Any suggestions/advice? I’m pulling all my assets from Scotia, and moving on. Done being lied to. So frustrating! Laini, the same happened to me. I ended up paying a 10K penalty. I’ve heard of that happening to people with other HELOCs at other banks as well. It is unfortunate that as prime when lower, the banks raised the credit lines to prime+1. I would keep an eye on their website, and as soon as they start showing prime+0 again, give them a call to see if it can then be set back. Of course they’re not likely to go back to just prime until the prime rate starts to go up at least another percent! What happenes to the amortization tables? If my house was to be paid off in 15 years, but I tap into $5K of STEP equity, does this mean it will take years longer to pay off the mortgage? Can I take out the $5K and increase my bi-weekly payment so that it’s paid off at roughly the same date? Rob, the mortgage portion is still paid off at the same rate. In your example, yes the mortgage would still be paid off in 15 years, that doesn’t change. Of course you’ll have the $5000 that still needs to be paid off. Think of them as two (or more) seperate buckets. You have a mortgage that’s declining and credit line with an available limit that’s increasing at the same time. That’s why I want to use this for investing. If I have say $1000 to invest, I’m best off to pay down my mortgage by $1000 first, then borrow that newly available $1000 from the credit line to invest. I still have $1000 in investments, and I still have the same level of debt. But since that $1000 of debt is now for investing, and not part of the mortgage, it’s tax deductible. For more details, check out my post on the Smith Manoeuvre. This story happens to many people, thank you for posting, it will help. This is why it is important to find a Real Estate company that explains all aspects of the mortgage or home equity process. I have $320000 approved mortgage and $250000 Mortgage balance and $70,000 LOC. Can I take $70,000 out and add it to mortgage and make it $320000 with a refinance. Please advise. As long as you maintain a good credit standing with Scotia then the next time your mortgage comes up for early renewal (as of right now it’s 6 months before the renewal date) then you can “restructure.” This allows you to pay out whatever debts fit into the overall STEP limit with a new mortgage component. I received a lot of broken promises from Scotiabank, and they’re not consistent. This is hands-down, the worse bank I have ever dealt with for integrity. Ah, they have none. But they have great ads with hockey players…duh! We had a step mortgage with them and then they foreclosed on the house. We managed to sell the house before that happened and, as far as I know, they discharged the mortgage. Now, a year later, we get a message from a collection agency stating that we owe them $35,000, which is the line of credit and credit card. How could the mortgage have been discharged if this wasn’t paid? Hi I would like to know also. I have a bit of equity with one of my property and was wondering if I can take that money to pay my Scotia credit card. I would save some interest. What your looking for is a STEP and how to get it is refinancing. There are costs involved such as appraisal, legal and title search fees so be sure to weigh the amount of interest you will pay until the card is paid off versus the fees plus interest you will pay on your new product within the STEP. The title search is required by a bank when setting up any equity plan as you will see in the documents that there can be no secondary financing on the house. This means you cannot have more then the lien the bank is giving you. For example, you cannot have a STEP with Scotia and another secured loan from, say, TD or Royal. They must search the title to be sure. We currently met the requirements for our STEP, but since have been informed that it takes 60 days to come into effect with the automatic increase. We were also told that no matter how much you pay the credit line only goes up by $100 increments for every mortgage payment. This does not sound right. Was going to increase mortgage payments to lower the mortgage and increase the credit line. Am waiting for the 60 day period to come and go. Most credit products at many banks only have a platform to have credit limits at an “even amount.” Let’s say $100 versus $134. This is fairly normal. I am surprised that it took Scotia this long to allow people to increase their limits automatically. They’re usually so good at offering innovative products through their savings and chequing accounts. It’s good that they’ve finally opened up the channels to allow that innovation to spread into their mortgages. Hopefully we’ll see more moves like this in the future from Scotia. I have been with ScotiaBank for the past ten years (after some very bad experiences with BMO, CIBC, and RBC–all three of which service charged me to death), and they’ve been nothing short of fantastic. When we got our mortgage we set up a STEP right away, and set up two lines of credit: one to use for the Smith Manoeuvre, one as a “regular” line of credit. Use both, with no problems. Any problems, walk into the bank, talk to the teller, talk to a branch higher-up, or call or email our branch contact, and we’ve always walked out happier. We haven’t fully taken advantage of the SM, though, our focus is to pay off our mortgage faster. Our Scotia rep is actually helping us–we’ve already shaved seven extra years off our mortgage thanks to her… bet you don’t hear that often…. In my mind this is just another case of the Bank giving you as much robe as you want to hang yourself with. This just encourages people to treat a debt as if it is an asset. The STEP is just another step deeper into debt and it shifts portions of your debt that is at a fixed rate for a term that you can count on, and instead shifts some portion of the debt into a financial vehicle the banks can manipulate and make more money from you. This is just a shell game, moving debt around trying to convince you that your using your money wiser. What you do is spend more because you think you have more, and when you spend the banks make money. You are far better off to pay into a traditional mortgage, increase your payments where possible and have the full value of asset awaiting you. As it stands with a STEP, you’ll be carving off little chunks of equity as you make them, and continually pay interest on these chunks. Even better for the banks and financial advisors if you take these chunks of equity/debt and invest them where they can make even more money from you. Unless you are investing in something like bonds which pay lower yields but are safe, if you borrow against your equity in this manner, use the equity to invest and then the investment fails or underperforms, your just throwing good money away. There is a reason banks and financial advisors promote these programs so much, they encourage spending that you really shouldn’t be doing, and when you take on debt like this they still make money from you without taking on the risk. Smoke and mirrors people, nothing else. Pay down your traditional mortgage as quickly as you can, that builds equity. Don’t be fooled by this type of products. Listen to Mark folks! Best advice ever given by anyone on the internet! We did that a few years back. We used the STEP plan and borrowed to buy a car. I think the rate at the time was 3.5% (the dealership offered us a “promotional rate” of 9.5%). When our mortgage came due for renewal several months later, with the help of our Scotia rep we moved that car loan into our mortgage at 2.49%, and freed up that room again in our STEP LOC. Loved it! This may not be the appropriate forum but I have a situation with Scotia Bank. When I remortgage from an open variable to a close mortgage for 5 years, I was not told of the hefty penalty I would encounter should I wish to sell my property. I am looking at retiring this year and I have the opportunity to sell my property and I would remain as a tenant. This would allow me to pay my debts. The major one being an LOC with Scotia Bank of course. The company purchasing my house agreed to continue the mortgage with Scotia Bank. The bank has flatly refused to waive the hefty penalty, both to myself and to the company wanting to purchased my house. When I purchased the house my STEP was minus $50,000.00. To this day the bank says that the house was 100% financed 80% percent the bank and 10% by CMHC) and that an evaluation was not necessary. When I remortgage they said that if an evaluation is done, I risk not being able to obtain financing. Again, the bank does not want to provide me with what the house was estimated at, at time of purchase and/or at time of refinancing. A real estate agent mentioned that I can easily sell my house for between $240 to $250 K. So I still do not understand why the STEP is in the minus. When I purchased the house, the inspection was very satisfactory and since the financing had been pre-approved, I waived those conditions. When I went to the bank to sign the paper,I started questioning some of the information on the documentation. (some numbers had been changed, etc…). The bank representative said sign the paper and then you can look at the rest of the information. I refused and said I would like a copy to take home so that I could compare it with the numbers originally given. The bank representative refused so I refused to sign. He then said and I quote “fine then you can leave and you do not get the financing”. I would like to add here this all happened during the death of my brother. That bank knew I had no choice but to sign because I would not have the time to go to another financial institution for a new mortgage approval. This would have also caused me financial hardship. There is more but I am certain you have read enough. Thanks for reading me. hi Tom,was just wondering ,perhaps misunderstood if it would be a good idea to get a re advanceable mortgage to pay down debt such as a personal credit line at 6% int with scotia(scotialine) as I am a seasonal worker and at this time of year I depend heavily on my line of credit,was thinking as well of cashing out rrsps to pay it down but the high tax holdback on rrsps are kind of making me stay put and perhaps the advanceable mortgage would maybe give me a tax break even though I understand that Im not using such loan (STEP)for investment.Thanks kindly in advance. step by step gonna get me in deep debt!yessssir 400k mortgage and 225k heloc step by step lets hope my property value doewnt drop off yo!!!! Again, why would anybody think borrowing money from a STEP to use for investment is anything but foolish? It is foolish. You would be far better off not taking any extra debt under all circumstances, that is common sense. Investments are rather risky, but in fairness, if you were able to use the money in low return, but risk free vehicles such as Canada Savings Bonds it might make sense, but only if the interest paid back to you was greater than the interest you paid the bank. That is simple math. Investments are pushed on those who can’t afford them all the time as the lending institution loves them, the agent making a commission loves them, but the buyer only loves them when they pay off, which is often very questionable. I would say keep your mortgage as simple as possible, pay it off as quickly as you can and ignore all the noise coming from banks to borrow against your equity. Unless you have no choice at all, avoid extra debt and don’t get tricked into making risky financial moves that are only guaranteed to favour the lender. Banks are similar to casinos, the house always wins. If they didn’t benefit more than you, they wouldn’t offer the investment vehicle. I beg to differ, Nark G. Many, many years ago I borrowed $25000 from my STEP at Scotia to buy stocks. So I owed Scotia $25000. My portfolio returned 5.5% annually, and I use all my dividend payments to pay down the LOC, plus $150/month. The interest rate is 3.15%. Every year I borrow another $2000-5000 to invest in something to top up my holdings; keeping my annual dividend rate above 5%. I get a tax break on the interest, so I’m also benefiting there. In a few months–assuming I make no more purchases–I will have paid off the LOC, and I will have a sizeable stock portfolio, a stock portfolio I would not have had if I hadn’t borrowed to start it. I understand everything everyone is saying on this thread, and I know that part of it is “pray your stocks don’t tank”. But that’s no different than praying your car doesn’t conk out, or your furnace dies… a lot of praying going on. But it’s not like I took the money out, went to the casino, and put it all on red. I invested what I would like to think is wisely, and I’m using someone else’s money to do it. 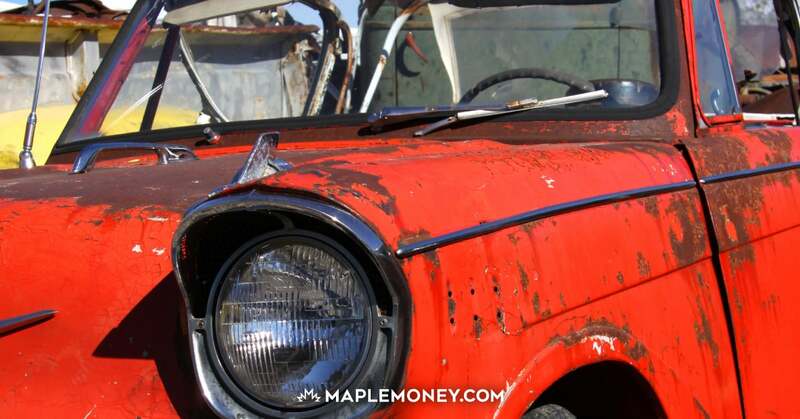 After my first year, my portfolio was up about $2000–even after I took out the dividends to pay down the line of credit. I could’ve sold off most of my stock and paid off the LOC, but why? I had my trailing stop losses in place, no other debt but mortgage, and the bank was in no rush to take the money back, and I’m in no rush to pay it, and I’m watching my returns and dividend payments, I think it’s all good. I have a step mortgage with Scotia. I gave equity built up and Scotia is telling me that I don’t qualify at this point to access my equity because of the policies associated with my internal bank calculated credit score. I thought the point of the step was that I only had to qualify once and then I could access it when I wished? @Kls Read the fine print, the bank will not take any risk. You need to satisfy suitability tests (credit score) anytime the bank is in a position to take a risk on you. Obviously something has changed in your situation that the bank feels makes your current situation too risky. Ignore all the noise and salesmanship out in the financial services sector, you shouldn’t take on new debt until the old debt is gone. Double down on debt is foolish and only the bank ever wins in that game. I’m sorry if you are in a distressful financial position, I know how challenging and isolating that can feel. Good luck with everything, and at every chance please pay down debt rather than taking on new debt. Lets talk about reverse mortgages. Who offers them and what are the pro’s and cons. We are considering one as the only way we can retire. I own a home of around one million value, I renew my mortgage with Scotiabank, and asked for a equity line on the house. My mortgage was renewed at 212,000,00 now is 150,000.00. But this was done through mortgage alliance. And they did the step equity. But for only the same amount of my renewal mortgage !!! so, right now I have a equity of 62,000.00. The broker told me they based on my salary. Now I asked is this right? I thought I would get at least 65% on the house equity minus the mortgage! meaning I don’t have a equity, or if I have it is only 20% when I finish to pay my mortgage. Does this seems right or mortgage alliance didn’t help me here? thanks for any responses. Does Scotia STEP allow to fix rate on certain portion? 100,000 borrowed from LOC at prime – .70 fixed for 2 year, instead revolving prime + 1?